International Journal of Scientific Research in Information Systems and Engineering (IJSRISE) is an open access international Peer-Reviewed multidisciplinary journal that publishes quality studies related to Information Systems, Social Science, Education, Engineering computer science, ICTs, management, multimedia, etc. IJSRISE is multidisciplinary in approach, and includes but not limited to reports of qualitative case studies, meta-analyses, mixed method studies, action researches, quantitative experiments and surveys and methodological issues. 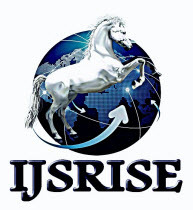 IJSRISE publishes original articles in all areas of Information Systems, Social science, Education and Engineering. The editors seek to publish articles from a wide variety of academic disciplines and substantive fields; they are looking for clear and significant contributions to the understanding and/or improvement of educational processes and outcomes.